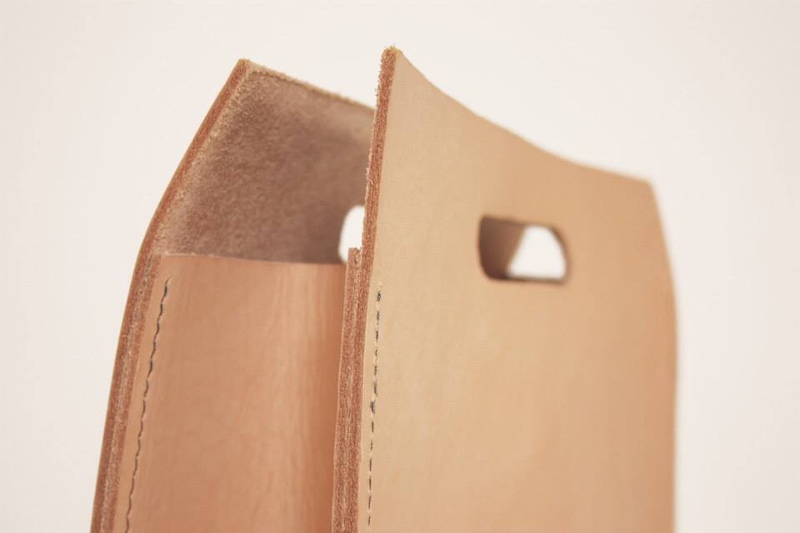 Sustainable leather version of the iconic plastic and paper shopping bag. This bag will gain traces of life as it will become part of you. This bag will stick around life-long. It will need to be cared about and looked after.